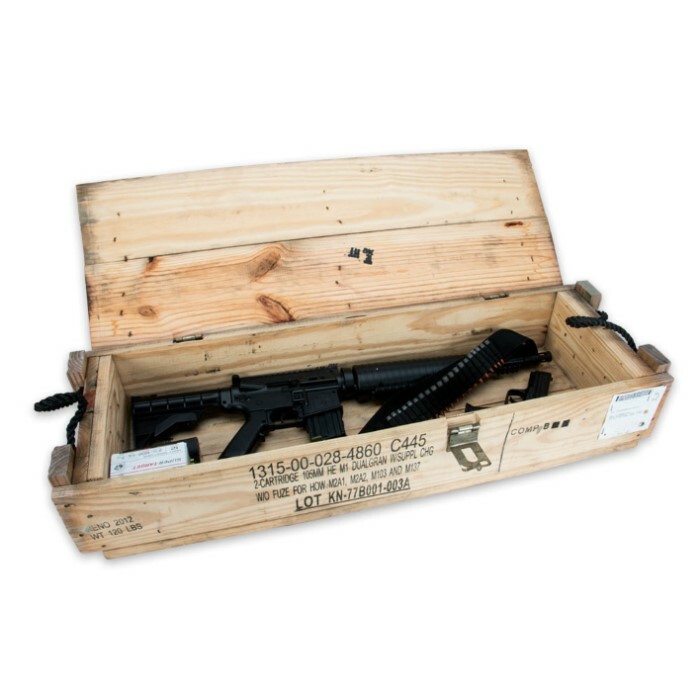 105mm Wooden Ammo Box | BUDK.com - Knives & Swords At The Lowest Prices! 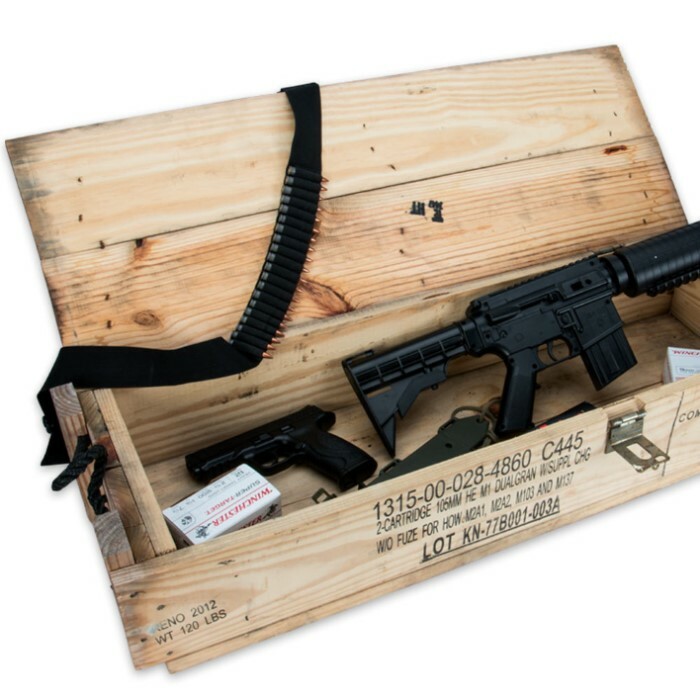 Are your looking for a great storage box for a variety of things including tools, camping gear, or even toys? 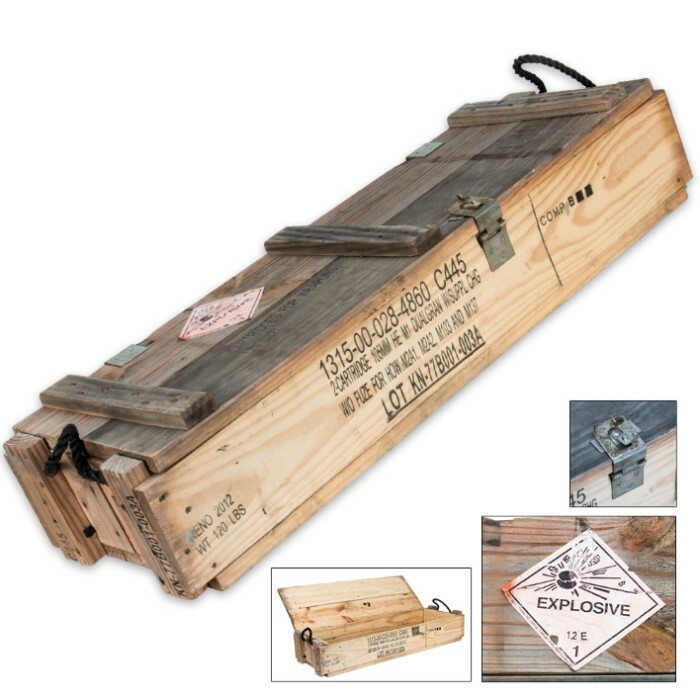 The 105mm Wooden Ammo Box is a great option. It’s constructed of wood and has a hinged lid and metal latch. It is easy to carry with two nylon rope handles. This box is 36”x12”x8” and weighs 26 1/5 lbs.